Dear Mrs. Bird and The Lido (again) – Joyce's mystery and fiction book reviews with some non-fiction too! AJ Pearce grew up in Hampshire, England. She studied at the University of Sussex and Northwestern University. Pearce collects vintage magazines, and the idea of a writing a novel set in wartime London was born when she came across a 1939 copy of a weekly women’s magazine. She lives in the south of England and is at work on her second book. 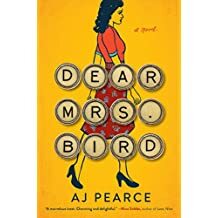 Dear Mrs. Bird: An irresistible debut set in London during World War II about an adventurous young woman who becomes a secret advice columnist—a warm, funny, and enormously moving story for fans of The Guernsey Literary and Potato Peel Pie Society and Lilac Girls. Libby Page graduated from The London College of Fashion with a BA in fashion journalism before going on to work as a journalist at The Guardian and then a brand executive at a retailer, then a charity. The Lido was born out of her love for outdoor swimming and her passion for community and its role in our towns and cities. 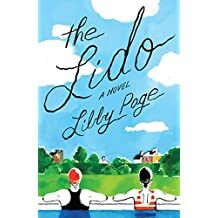 The Lido: In the tradition of Fredrik Backman’s A Man Called Ove, The Lido is a charming, feel-good novel that captures the heart and spirit of a community across generations—an irresistible tale of love, loss, aging, and friendship. Please note: the above information is re-printed from an e-mail that I received from the publisher. I have blogged on both of these novels and found them to be special and appealing, so decided to give them one more “shouout.” Please let me know what you think should you read them.